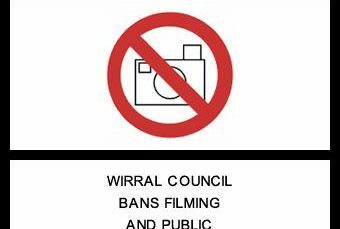 I have requested from Wirral Council to re-use video footage of their recent public meeting of councillors where the subject of Kingdom came up. Despite their policy on filming suggesting that we should allow re-use when filming them, they are concerned about the possibility of “edited extracts” (even though I asked not for edited extracts but to republish footage of the whole meeting) and it appears that the answer to the question about re-use at the moment is no. In lieu of this I will instead embed a scene below from a Disney film called Robin Hood (which I thank my brother	’s godmother for showing me years ago) which discusses criminal justice, money, royal power, religion and politics. You may interpret it as you wish! However back to the public meeting itself. I’ve watched the webcast, but there were a number of untruths stated at it and I don’t want to unfairly single out individuals who may be upset by my criticism. Too many to list here, but decision making and scrutiny at Wirral Council sadly don’t have time during their meeting to hear from the public (hence the frequent interruptions by the Chair to ask the public to keep quiet and not be so distracting). From a public relations perspective though the whole Kingdom issue is a disaster. Wirral Council have completely lost control of the narrative and dig themselves deeper in a hole each time the subject is discussed. 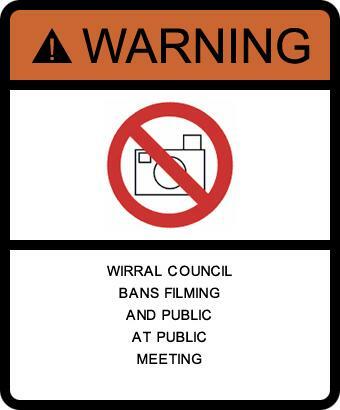 During the meeting, those opposed to the use of private contractors (specially Kingdom) for this type of enforcement were described as “organised” (but then Wirral Council sets a low bar when it comes to organisation). It was also explained that it is normal in a democratic society for people to have differences of opinion on policy matters and how laws are enforced. A view I have expressed myself from time to time and been told by elected politicians that there shouldn’t be a public debate on matters that politicians and political parties would prefer remain taboo. Police officers were mentioned and by sheer coincidence the Merseyside Police and Crime Panel meets in public this morning to consider putting up council tax to pay for more police. It comes back to an age old question though about separation of powers and not putting too much power in any one person’s hands without appropriate checks and balances. The view expressed by the public is that individual Kingdom Enforcement Officers (EOs) issue fixed penalty notices (FPNs) in situations where the EO has no legal power to do so. The Legal Director for Kingdom at the meeting I referred to implied that a “zero tolerance” approach (which is at odds with the legal position) is because that is what Wirral Council tell them and that the contract with Wirral Council requires them to perform the contract according to Wirral Council’s policies. Now I also do reporting on court and tribunal cases. If I wrote about every time a member of the judiciary appeared to make a decision that broke the law, or a person lied during a court hearing and I insisted the judicial system made decisions according to the laws of the land, I’d be quite rightly told off for such a “zero tolerance” approach! Decisions are made by members of the judiciary who are human and make mistakes. Although those who make judicial decisions are usually immune from prosecution, there is the check and balance of an appeals process in case of human error. It is of course as has been pointed out to me over the past few years unreasonable for me to expect the judicial systems in this country to act lawfully, much as it is unreasonable for Kingdom to blame Wirral Council when it comes to the actions of their own employees. But that’s politics for you, where the blame game never ends! When will there be accountability, justice or will this mockery of justice not end? « How much did the Liverpool City Region Combined Authority agree to increase council tax in Wirral, Liverpool, St Helens, Knowsley, Sefton and Halton from the 1st April 2019? Whether Wirral has Kingdom or not enforcing litter dropping, i won’t go on about targeting smokers, but who ever is litter patroling isn’t doing a very good job the street are covered in litter, and i am paying Council tax for this? As for the Police wanting more money and thus putting up Council Tax again this year, without our help in solving crime etc they are usless! maybe if they sell off a few police cars. As far as I remember Wirral Council instructed Biffa (who have the contract for clearing the streets) a few years ago to clean the streets less frequently to save Wirral Council some money. Councillors on Wirral Council agreed to it. There are some areas that are kept a bit cleaner though due to the efforts of community groups. This morning I did see Biffa come down my road, one with a leaf blower, another with a bin bag but it’s a rare sight these days as the frequency for street cleansing has been dropped considerably! Yes part of the council tax you pay (if you pay council tax on the Wirral as the household I’m in does) goes to pay for it. I don’t remember a year when Merseyside Police didn’t want a bigger budget (for whatever reason), but you are right, but what you refer to is one of the Peelian principles of policing (listed below), which is part of why some people are grumpy at Kingdom as they feel Kingdom behave differently to the way the police do (I’m specifically think of principle 2, 3, 7, 8 and 9). 5. Police seek and preserve public favour not by pandering to public opinion but by constantly demonstrating absolute impartial service to the law. 9. The test of police efficiency is the absence of crime and disorder not the visible evidence of police action in dealing with it. Hi John, clear & concise as usual this council & its contractor Kingdom write the rule book to suit their own ends despite what the law of the land states. By using the words “zero tolerance” they bend the rules to suit their own ends which is on the verge of criminality & is purely a money making scam. Your Disney excerpt reminds of Phil Davies as the King & Martin Liptrot as the serpent and our rates revenue as the gold coins very funny, you cheered me up no end thanks. It was discussed at the public meeting that by issuing FPNs in case where it could be argued one shouldn’t be issued (relying on an appeals process also run by Kingdom) isn’t the best check and balance. For example if a traffic warden issues a parking ticket (whether correctly or incorrectly), then any appeals go first to Wirral Council (but Wirral Council doesn’t employ the traffic wardens) so there’s a degree of independence. Having Kingdom issue the FPNs and then deal with appeals (while giving people the impression it’s not Kingdom but Wirral Council) is like having them mark their own homework! I’m glad you found the clip amusing.